Among the young and lively area of Seminyak one will find the dash hotel, located in Bali. The modern hotel is located close to the beach and is great for those who are looking for an art inspired home during the holidays and a different but playful experience..
Out of my experience at the dash hotel Bali I would have to admit that I never stayed at any comparable hotel. 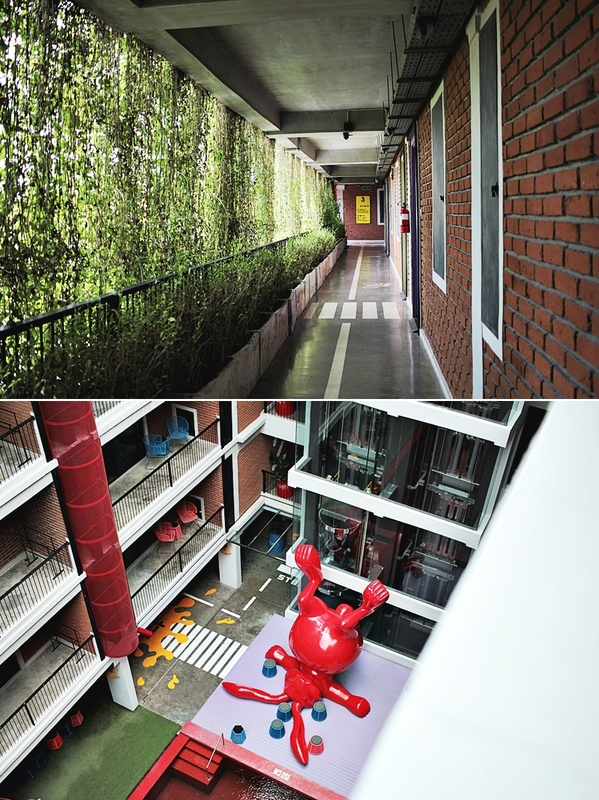 The hotel has a very playful and artistic vibe and is a whole lot different compared to the usual boutique hotels. Dash is definitely a modern luxury kind of hotel that offers great services and facilities. After a quick check, in into our lobby we went to our room in the 3rd out of five floors. The rooms have a modern layout, using most of the given space and come with creative solutions for decorations and design. Also, the hallways ae colored like a street and have colored lights. However, our room has also been very colorful. As the hotel is very much art inspired one will find graffiti in the rooms, being sprayed on the wall. This hotel is definitely not having any standard rooms, it is very outstanding and each room has a different layout and design. Also, the mixture of colors and modern devices creates a futuristic look that creates a new feeling of hospitality. A very obvious logo is the red bunny, which appears all over the hotel. Another detail about the bunny is that it´s always shown upside down. Even a soft toy-bunny has been placed on the bed, of course upside down as well. 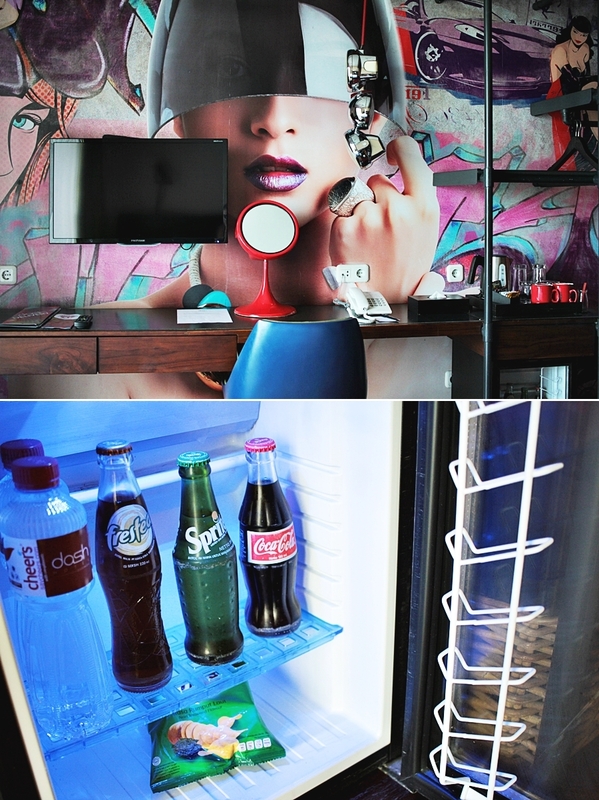 I think the hotel has a cheeky twist within its whole concept, what I actually really liked and valued about it. It makes the whole stay very casual. Also, a very cool interior detail has been the light by the bed with the claim “play now”. 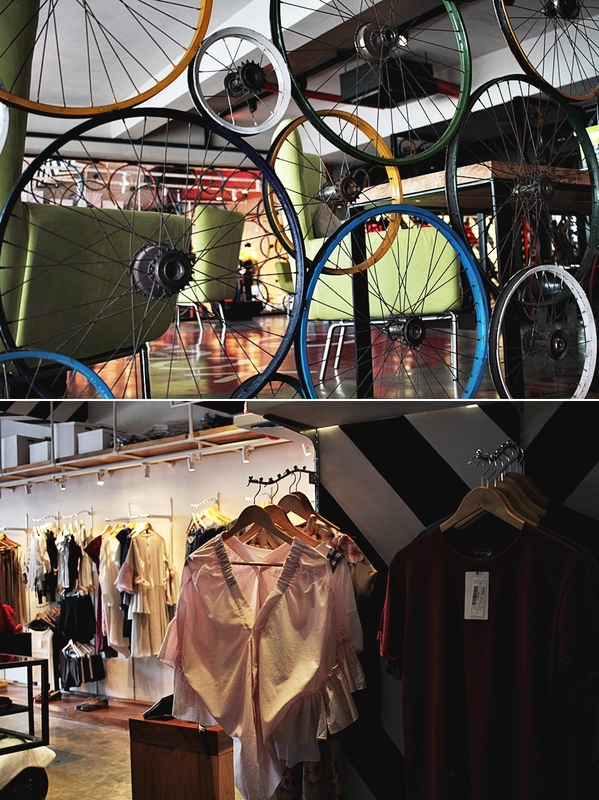 Beside the colorful rooms the hotels also hosts a bar and a restaurant on the ground floor, so as a shop for fashion. During the usual sunny days, it´s also a great feature that the hotel has a smaller outside area. Especially during the breakfast, it might be nice to enjoy the warm sun beams while having fresh juices and good food. While the hotel actually has a lot of space to offer, one of the main spots to come together is the lobby and bar area. Some availability on games is also given and it feels like a casual community hang out to come over during the evening or to watch a game on TV. A main highlight and popular photo spot is the pool. The red pool is surrounded by very comfortable seating areas and served with snacks and cold drinks. As it is sheltered in the center of the hotel building it is never too sunny and a peaceful and calming place for all of the guests. We really liked the appearance of the hotel and the combination of different design elements. 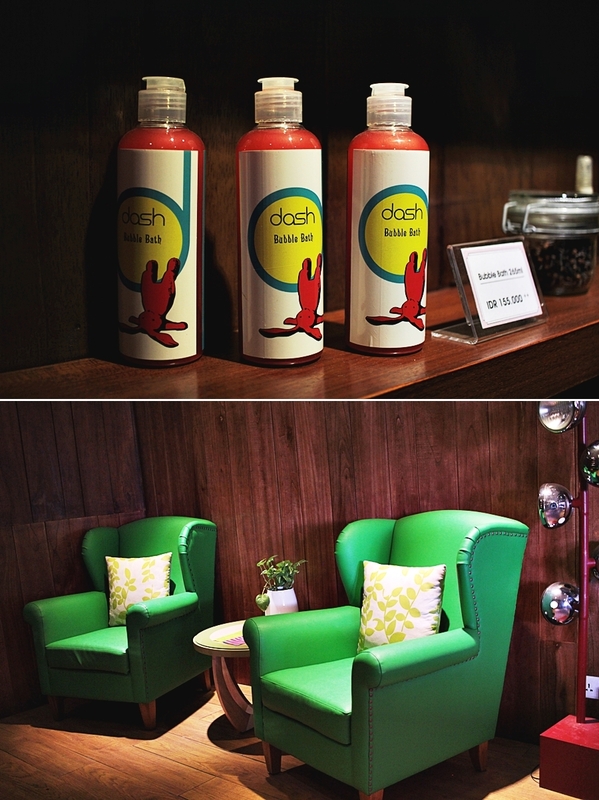 It feels exciting to stay at the dash hotel and there is always something new to discover. Also, it is a lovely hotel to set up shootings and to create some outstanding memories. As you guys know I´m really into fitness so I have been grateful to actually have access to a fitness center at the dash hotel. Beside two cardio machines, guests will also have access to some smaller fitness devices and weights. A proper workout can be done in the studio and it might be a nice move after a long beach day to get a little active. Beside a bar in the ground floor, there is also a rooftop bar. 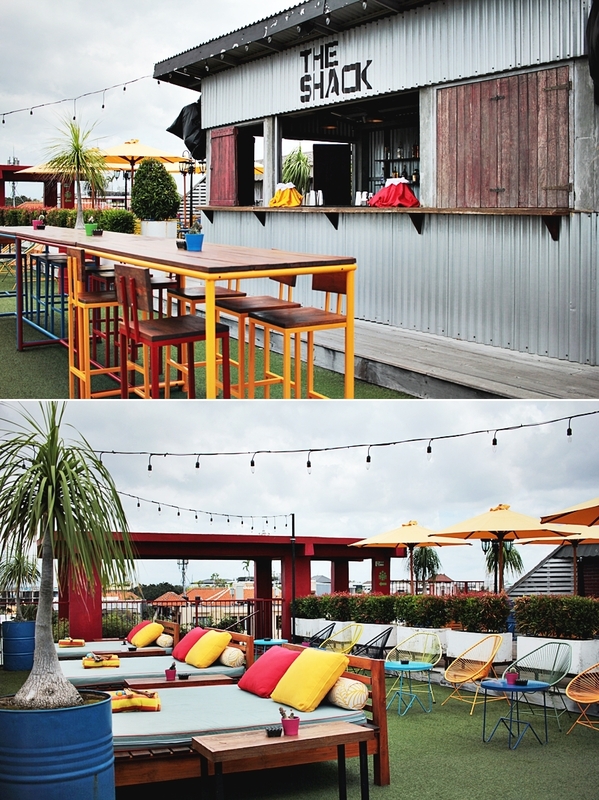 The Shack is a modern beach a like oasis with daybeds and a bar, serving multiple drinks. Also, there is access to a jacuzzi which has sadly been under construction when we were staying. As Bali is well known for its spa and treatment culture, there is also an inhouse spa. The hotel also offers a complimentary 10-minute welcome massage. Beside the regular treatments guests do also have access to some merchandising products. What truly makes the big change about the hotel is the breakfast concept. I have never experience a comparable concept like this before. 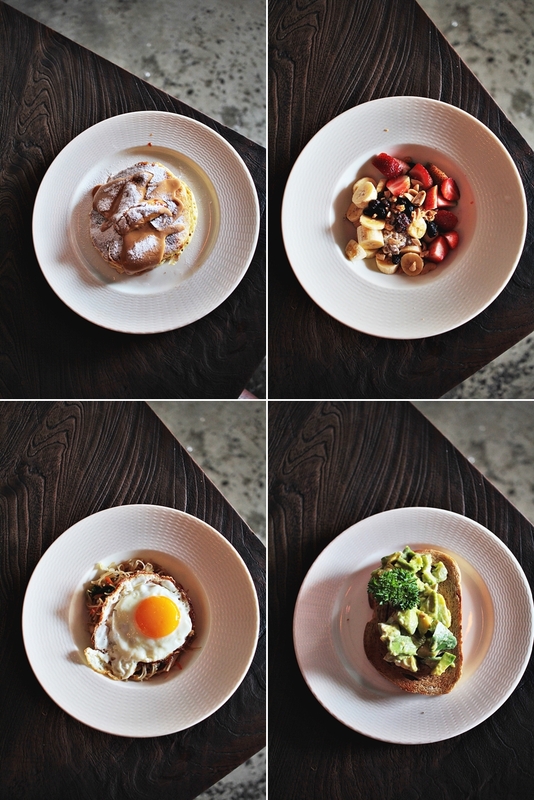 The dash hotel offers an a la cart breakfast, where guests are allowed to pick any dish that they want. The breakfast is open for public but for a certain amount guests have an all you can eat a la carte option. Beside smoothie bowls, fried noodles and avocado toast, there is also a wide selection on fresh drinks. 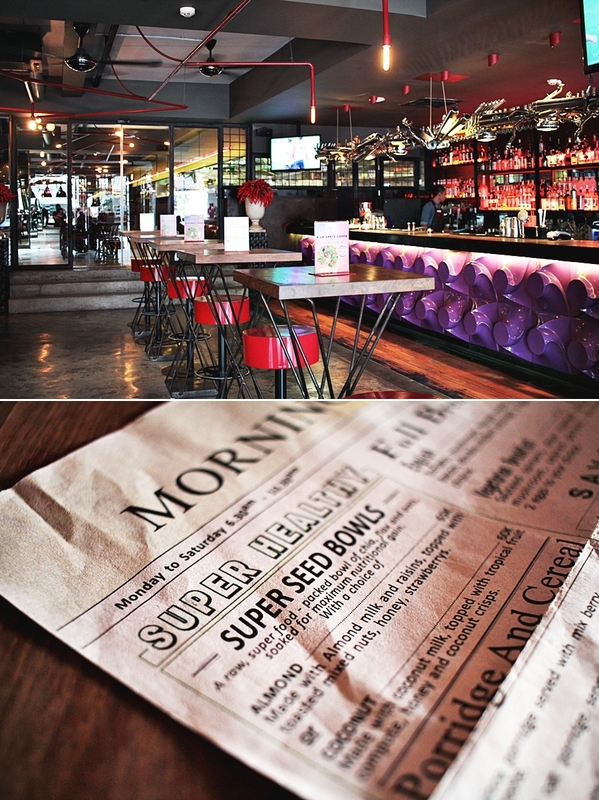 I can tell, we have never been late for breakfast and really enjoyed the nice atmosphere and fresh prepared food. Summarizing our stay, we would definitely return. Seminyak has many stereotypes and it has been my first hotel stay in the busy district but I can tell that the area around dash is really nice and has a lot to offer. I personally think it was less crowded than some other parts of Seminyak and most of the “things to do” are in walking distance. Thanks to the dash hotel for hosting us for a media stay. 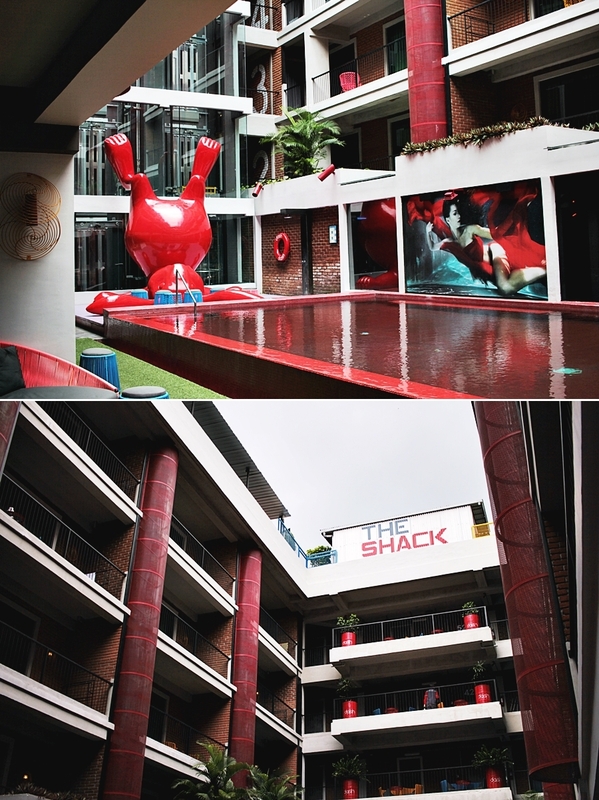 It has been so much fun to explore this hotel and I personally think it´s a great choice to stay for those who are looking for a young, artistic and colorful-casual experience.